Spring is a time for new beginnings. If only it would stop snowing in Ontario, we could believe the calendar–didn’t it tell us that spring arrived a couple of weeks ago? Here at InsideOCULA though, we’re not waiting for the snow to melt away for our new beginnings. Since our last issue, we have added three new members to our editorial team. Jennifer Robinson joins us from Western Libraries, Rob Makinson from Centennial College and Thomas Guignard from the Ontario Colleges Library Service.Their work as editors will start with the July issue, and we’re looking forward to adding these new perspectives to our team. This isn’t the only new beginning within the editorial team. Michel Castagné has recently accepted a position as Digital Services Librarian at Capilano University in North Vancouver, British Columbia. As a result, this will be Michel’s final issue as part of the InsideOCULA editorial team. Michel was our Junior Editor for the past two years, and recently joined me as Co-editor-in-chief in February. While we’re sad to see him go, we congratulate him and wish him the best in this new phase of his career. I’d like to take this opportunity to thank Michel for staying on to help in the recruitment of our new team members and in the preparation of our April issue during what has undoubtedly been a busy time. The last new beginning on the InsideOCULA editorial team is that I’m the new Editor-in-chief. The past two years as Deputy Editor have been a truly engaging and collaborative learning experience, and I’m looking forward to working in my new role and with our three new editors. I’d like to thank Elizabeth Yates, who recently completed her own term as InsideOCULA Editor-in-chief. Her guidance over the past two years has been invaluable to Michel and me in our previous roles as Junior and Deputy Editor. Now, on to the content! Moving to another new beginning, Sarah Shujah, our new OCULA President, relates the story of how a job opportunity early in her career as a librarian helped shape her professional practice and ethos. Getting Your First Break as a Librarian is the first in a series of OCULA President’s messages that you can expect from Sarah over the next year. 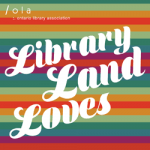 If you’re a newly-minted librarian or a library student yourself and want to hear from other seasoned librarians about their early or later career experiences, maybe what you need is an OLA mentor. In their article Calling all Mentors and Mentees, Karen McGrath and Melanie Parlette-Stewart discuss mentorship initiatives within OLA, and in particular, this year’s launch of the OLA Mentor Match service. Prospective mentors and mentees are encouraged to sign up! 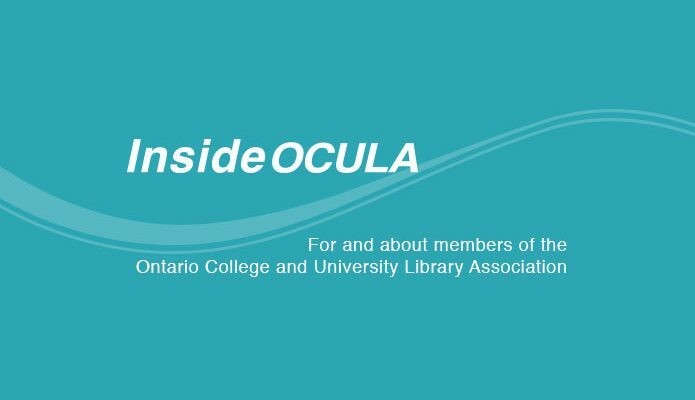 This issue’s OCULA President’s message also highlights a current fundraising initiative supporting the OCULA New Librarian Residency Award, and two upcoming OCULA events, one later this month and another in June. This event coming up later this month is the OCULA Spring Conference. You can read more and watch a brief video about it in Fiona Inglis’ article Once Upon a Time: 2017 OCULA Spring Conference. This issue of InsideOCULA also highlights the work of recent OCULA award winners honoured at the 2017 OLA Super Conference. For those of you who were unable to attend this year’s conference, Erica Friesen, the 2017 winner of the OCULA Lightning Strikes Student Award, recounts in an article her experience participating in the OCULA Lightning Strikes Session at Super Conference 2017. This year, the OCULA Award for Special Achievement was won by two projects: Student2Scholar and La Casita Azul. Are you in the market for a thorough, flexible and open-access resource to help support graduate students in their development of information and research skills? Student2Scholar might be just what you’re looking for. Cory Laverty and Elan Paulson provide an overview of the project and its benefits in their article From Student to Scholar: Building Capacity for Graduate Student Academic Literacies and Research Skills. Think it’s difficult managing multiple library locations on the same campus? Try opening a new location 4,000 km away! In their article La Casita Azul: A Unique Project with Significant Consequences, Dana Craig and Tom Scott discuss the history and significance of La Casita Azul, an education and learning resource centre in Costa Rica supporting York University’s programs and research. 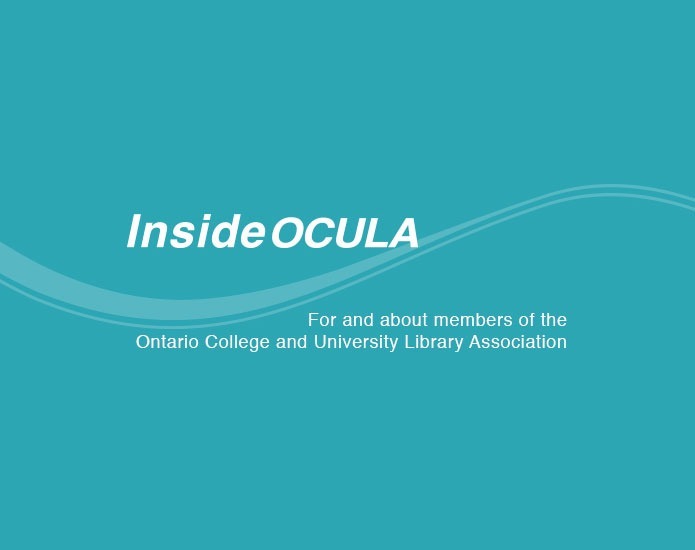 This issue of InsideOCULA illustrates just a few of the ways OCULA engages with its members, and vice versa. Another way is for you to write an article for an upcoming issue! 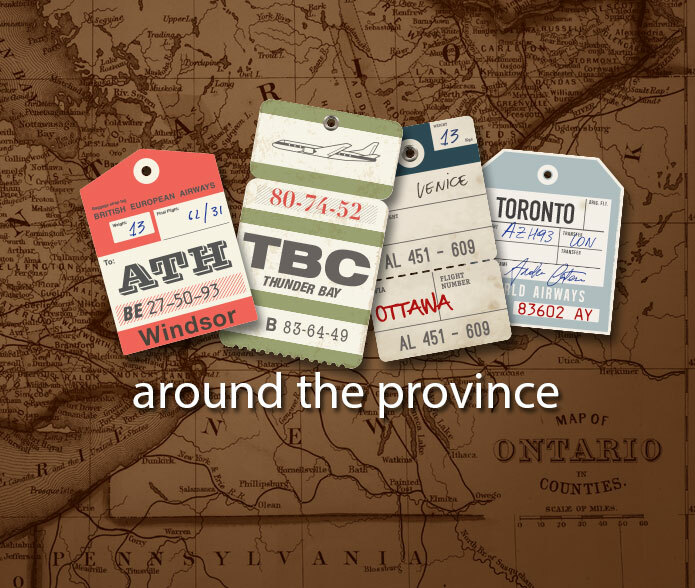 We’re always on the lookout for tales of interesting projects, initiatives, events and research happening in the libraries of Ontario colleges and universities. If you’ve written a short article that you think would be of interest to the OCULA community, or even just have an idea for one, drop us a line at insideocula [at] gmail.com. Graeme Campbell is the Open Government Librarian at Queen’s University Library, and Editor-in-Chief of InsideOCULA.